"A piece of jewelry or ornamental fabric, worn as a necklace, tight to the throat." 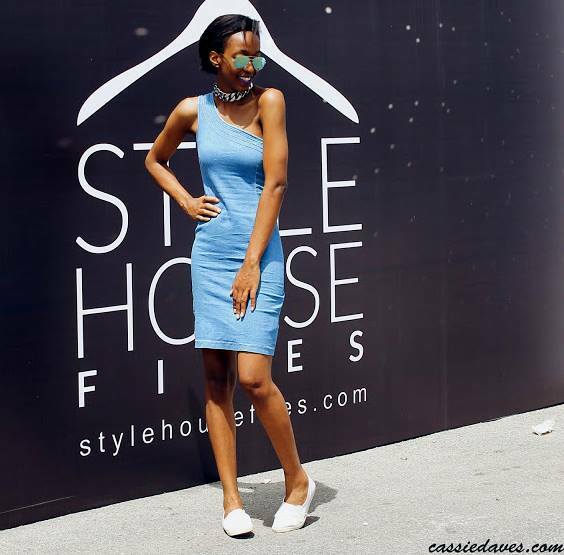 - Chokers that are small in width ( about one centimetre wide) are more versatile and simplier to style than larger ones (which could make you look like you are actually choking). Larger chokers actually work quite well for a more dramatic look. -Avoid wearing chokers with square necklines. I've found that chokers go with most necklines, turtlenecks and collars included, but seem to have a negative contrast with square necklines. -Turtlenecks and chokers go only if the turtleneck is not so high and the choker is really tiny. 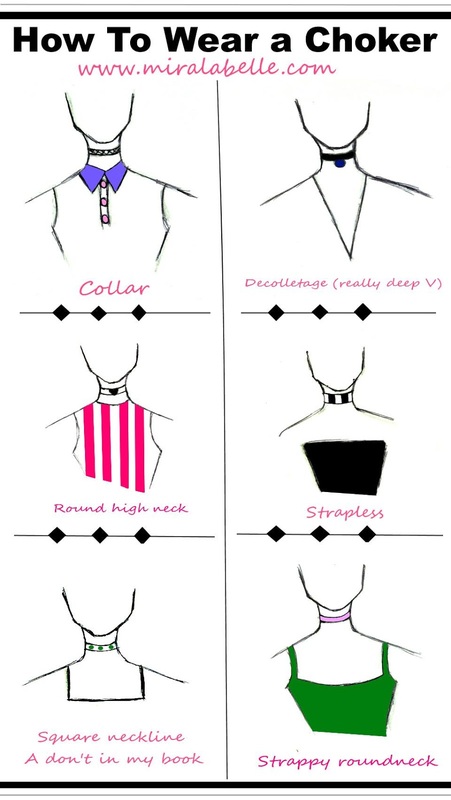 So I created a infographic for you, my beloved readers, to illustrate chokers and necklines. Yes, it was no easy feat seeing as I'm not a graphic designer. So on to what to wear chokers with! Stay tuned for the DIY of these shorts coming up on Thursday. Hint: It was made from a skirt. I like the simplicity of this outfit. The choker adds an unexpected twist. This neckline works best with chokers in my opinion. -With simple t-shirt + jeans combo. Throw a blazer on and you've got the look! 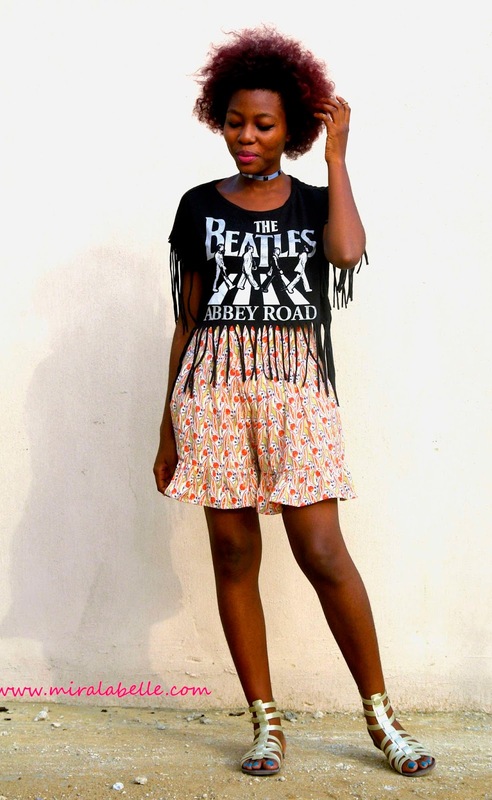 I never thought of pairing a choker with an assymetrical neckline but this works don't you think? You can wear a choker necklace with basically anything! The key to wearing a choker is to pay attention to the neckline. Does it flow seemlessly? Yes? Then it works! How do you wear your choker necklace? Was this post helpful? Leave a link, let me know in the comments, I'd love to hear form you! This post seems very helpful. I would try and play create a look with the choker I got using the principles I've learnt here. You're welcome Kelia! Glad to be of help. Cool! Would love to see the looks you come up with.